Trail running as a sport has grown up alongside Club Northwest. Many of our runners find success not only on the road and track, but also on the wood and mountain trails. CNW invites you to hit the trail with us! Club members Joe Bisignano and Carl Winter compete at the Redmond Watershed 5 mile trail race in 2015, placing second and first overall! 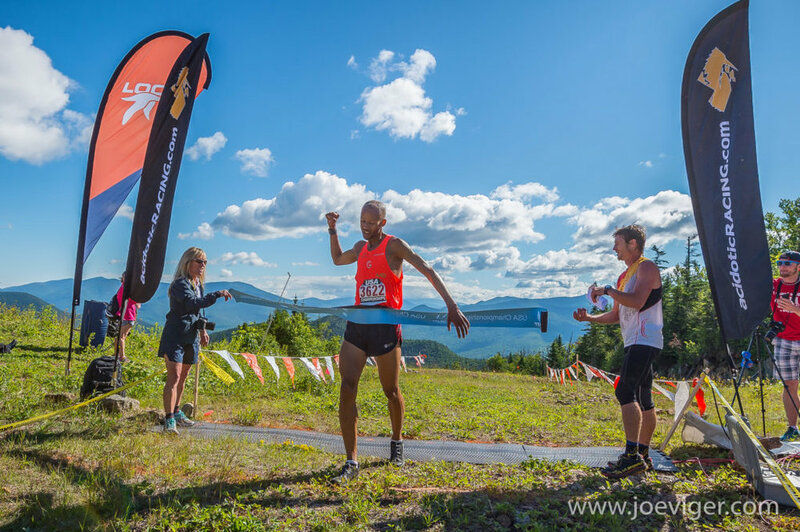 Club members Waqar Shaikh, Seth Berntsen, and David Fort went 1-2-3 at the 2017 Methow Trail Sunflower Half-Marathon, with Waqar setting a course record! CNW members Seth Berntsen and Waqar Shaikh racing the 2017 Methow Trails Sunflower 1/2 Marathon. Ragnar Trail Relay Rainier - the team Old Dogs New Tics, comprised of CNW members Craig Kenworthy, Mark Bloudek, William Richardson, and David-White Espin, placed 2nd overall and 1st in the Master's division. 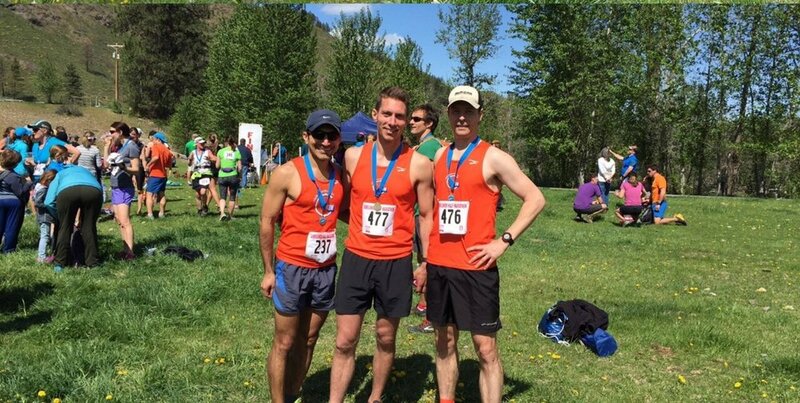 Methow Trails Sunflower Half Marathon - Waqar Shaikh, Seth Berntsen, and David Fort went 1-2-3, with Waqar setting a course record! Ravenna Park: A ravine and creek fed by a natural spring. Features 4.5 miles of trails. Always 10 degrees cooler on a warm summer afternoon. Discovery Park: A lush, 534-acre reserve with an extensive series of trails going through woods and wetlands, past beaches, and along cliff bluffs overlooking the Puget Sound. The main 2.8 mile park loop connects to an extensive network of additional trails. Carkeek Park: A hilly, forested park that surrounds Piper's Creek, which feeds into the Puget Sound, that features over 6 miles of trails to explore. For those looking to escape the city, here are some of our favorite trails within an hour drive. Redmond Watershed: Cushy forest trails that connect to the Redmond Ridge trail system. A favorite long run spot. Cougar Mountain: Site of many trail races. Hilly, with miles of options. Bridle Trails State Park: A good 5 mile loop intro to trail running. Mount Si: 3,200 feet of climb in 4 miles. A serious workout. Looking for even more trail running options? Check out the Washington Trails Association to discover even more fun.